James Washington had nine receptions for 296 yards and two touchdowns as Oklahoma State defeated Pittsburgh, 45-38. Washington caught scoring passes of 91 and 29 yards as the Cowboys improved to 2-1 on the season. 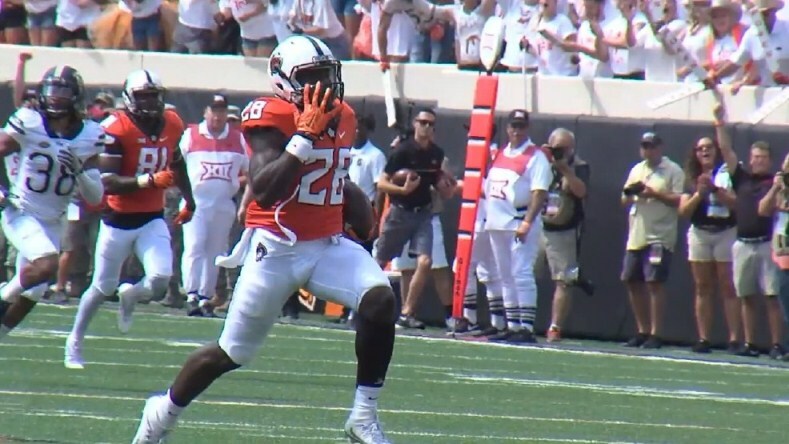 Notes: James Washington is the sixth Oklahoma State player to earn Walter Camp National Player of the Week honors. The last Cowboy honoree was current OSU quarterback Mason Rudolph (Nov. 8, 2015). Jabrill Peppers recorded nine tackles, including 3.5 for losses, and 204 all-purpose yards as fourth-ranked Michigan recorded a 45-28 comeback victory over Colorado. Peppers had a 54-yard punt return for a touchdown. Notes: Jabrill Peppers is the sixth Michigan player to earn Walter Camp National Player of the Week honors since 2004, and the first defensive honoree since former LB Brandon Herron (Sept. 4, 2011)).